Industry News – Design Your Lifestyle. 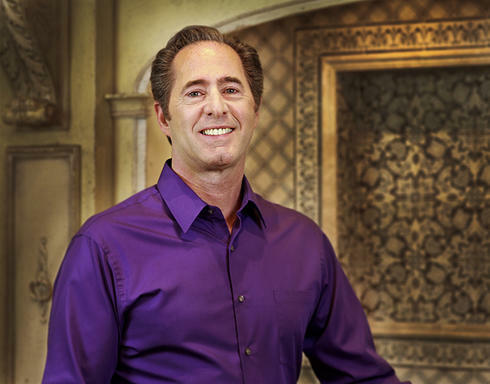 January 2019 January 2019 Peter Salerno, Inc.
Peter Salerno, North America’s most award-winning custom kitchen and bath designer since 2002, will present “Where Does Inspiration Come From?” at the KBIS 2019 Voices from the Industry Conference. It will be a follow-up seminar to Peter’s acclaimed presentation of the same name, conducted at Miele’s Experience Center in Princeton, New Jersey in 2018. Peter Salerno (center), at his NKBA presentation at Miele USA in Princeton, NJ, April 2018. As outlined in previous articles, the Kitchen & Bath Industry Showcase (KBIS) is North America’s largest annual trade show, with over 31,000 attendees, 600 exhibitors, and 400 members of the press. Presented by the National Kitchen & Bath Association (NKBA), KBIS 2019 is dedicated to the kitchen and bath design industry. Education is at the forefront of what makes KBIS 2019 a superior trade show and conference. Much of that educational focus lies in the Voices From the Industry Conference. After a successful presentation at the Miele Princeton Experience Center (on behalf of the NKBA), Peter Salerno was asked to reprise it at this year’s Voices From the Industry Conference in Las Vegas. “Where Does Inspiration Come From?” revolves around pulling inspiration from the world around us – both natural and architectural/technological – and how to convert that ‘library of thoughts’ into design inspiration and application. Peter’s original presentation was accompanied by visual examples of his design inspirations, followed by each inspiration’s final creation. 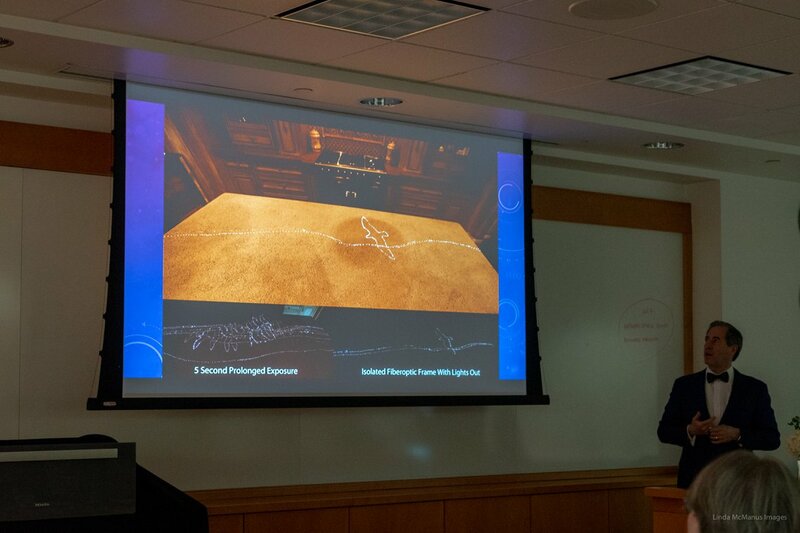 One of the more stunning examples shown during the keynote speech was that of seagulls drifting through the ocean air, and how Peter Salerno turned that image into a stunning kitchen design innovation – embedded LED animation of seagulls over crashing waves, displayed in a kitchen island countertop. 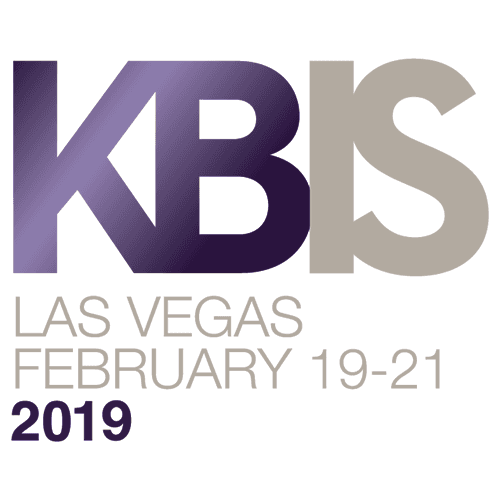 KBIS 2019 will be held February 19-21, 2019, in Las Vegas, Nevada. Peter Salerno’s “Where Does Inspiration Come From?” joins an incredible, world-class slate of presentations at this year’s VFTI Conference (some of which we have covered). From personalized luxury to synesthesia, design inspiration to smart technology in design, the 2019 edition of the Voices From the Industry Conference may be the best to date. For more information about Peter Salerno and Peter Salerno Inc., visit their official website. KBIS 2019 is coming to Las Vegas from February 19-21, 2019 – in other words, it’s time to start getting prepared for the biggest North American kitchen and bath industry trade show of the year! In terms of information, nothing tops the Voices from the Industry Conference, which emanates from the KBIS convention on an annual basis. The KBIS 2019 Voices from the Industry conference will feature 80+ world-class speakers and topics including business growth, design, management, customer service, and kitchen/bath specialty training. Also new for 2019, NKBA is proud to present four Professional Development courses as part of its Voices from the Industry Conference at KBIS 2019. The seminars are two hours each and offer 0.2 CEU credits and 2 Education Hours toward earning or maintaining AKBD, CKBD or CMKBD certification. The price for a one-day VFTI pass (up to four sessions) is $250 for NKBA members and $325 for non-members for advance registration; prices increase for onsite purchase of a one-day pass. Multi-day passes are also available. With over 80 speakers representing virtually every facet of the kitchen and bath industry, KBIS 2019 attendees can’t possibly check out every presentation in the 2019 Voices from the Industry conference. So which presentations should you choose? You should tailor your KBIS 2019 Voices from the Industry schedule to your own needs, experiences and plans for the 2019 design year. But there are a few sessions that we at “Design Your Lifestyle” found particularly interesting – either in terms of the topic, the speaker, or a mixture of both. From the can’t-miss to the intriguing, here are the 5 sessions we’ll be watching at the KBIS 2019 Voices from the Industry conference. Synesthesia is the production of a sense impression relating to one sense or part of the body by stimulation of another sense or part of the body. In this context, it’s the experience of sensing color in ways other than sight. People who experience synesthesia may “smell lemons” when seeing the color yellow or hear a certain tone when seeing the color pink. Kathryn Grube will explore this phenomenon, and how it interacts with 2019’s color design trends. Kathryn will also dive into the 2019 color palette, including Pantone’s seasonal 2019 color selections. 2. Applying Sustainability and Biophilia to Residential Design: What and Why? Biophilia is the assertion that “humans possess an innate tendency to seek connections with nature and other forms of life” (Wikipedia). With the trend towards sustainable materials, natural color palettes and the ‘greening’ of residential spaces, Jeannifer Ellington looks for practical applications of sustainable finishes, designs, and materials in the home. Jeannifer will also discuss WELL Building Standards, and ways to enhance your living space to promote well-being and health. Health is the ultimate luxury. The discerning client of the present and the future is redefining the luxury lifestyle. No longer about mere beauty, the most successful and sought after projects are now designed with health and wellbeing at the center. Premium materials with healthy finishes, responsibly sourced are becoming in greater demand, and clients are willing to pay a premium for them. Like their organic, non-GMO groceries, the homes of today’s luxury clientele need to take care of them from the inside out. Keeping with our Wednesday theme of “the new definition of luxury”, Christopher Grubb’s presentation on modern luxury appears to be a highlight of the Voices from the Industry schedule. Christopher brings 25+ years of experience with luxury clients to this session, discussing how the term “luxury” has gone from a financial definition to an emotional one. Attendees to this seminar will learn which elements of a design project speak to this new definition of luxury, including which materials, finishes, fixtures, and other architectural and decorative details help to create a personalized sense of luxury, even for today’s most budget conscious homeowners, architects, and builders. Who? David Brown – Partner, Hoffman York, Inc. This presentation reveals the findings of an extensive $100,000 research study of over 900 consumers who were interested in either major remodeling or purchasing a home. The research identified how dealers, architects, designers, builders and remodelers and dealers can increase the salability of their projects, and elevate their reputations. The research is comprised of a number of firsts: –1st comprehensive examination of the emotional connections made with various areas of the home. –1st use of advanced research to identify how a room’s overlap between relaxation, socialization and functionality shapes attitudes. –1st in-depth understanding of how space design and corresponding amenities can increase home appeal. Better yet, the research is accompanied by turn-key design concepts developed by Visbeen architects, winners of over 40 Best In American Living Awards. The Kitchen + Bath Industry Showcase (KBIS) is North America’s largest trade show, and the premier annual event dedicated to kitchen and bath design professionals, vendors, trends and exhibitions. KBIS 2019 will be no exception – with 31,000 scheduled attendees, 600 exhibitors, a press corps 400+ strong, and a social reach of over 80,000 (thus far! ), the 2019 edition of KBIS will be larger and more awe-inspiring than ever. KBIS 2019 will be held February 19-21, 2019, at the Las Vegas Convention Center in Las Vegas, Nevada. With FOUR Exhibitor Halls (one more than 2018), expanded hours (9:00 to 5:00 pm, plus extended 8:00 am hours for the Bronze Hall/KBIS Salon), and the largest scheduled attendance in Showcase history, the 2019 edition of the Kitchen + Bath Industry Showcase is truly a record-breaking affair. KBIS 2019 will offer an expansive show floor with over 600 world-leading manufacturers and suppliers. Exhibitors will be located in North Hall, Central Hall, South Hall and the new Bronze Hall (KBIS Salon) at the Las Vegas Convention Center. KBIS will once again collocate with the NAHB International Builders’ Show for the sixth annual Design & Construction Week®, showcasing the best in residential design and construction. Your KBIS badge grants you access to both exhibit floors. This year’s KBIS Keynote address comes from KBIS favorite Cindy Allen, editor-in-chief of Interior Design and Chief Design Officer of Sandow Media. In a highly-anticipated follow-up to her 2018 “Pop Goes the Future” address, Allen will offer her expert insight into what the future holds for 2019 in the kitchen and bath design industry. It’s not to be missed! For full details and information on registration, exhibition, floor plans, and a complete KBIS schedule, please visit the KBIS 2019 website! What are the advantages that professional designers can enjoy by becoming members of the NKBA (National Kitchen & Bath Association)? Peter Salerno, CMKBD, is the founder and owner of our parent company, Peter Salerno Inc. Since 2002, no other kitchen and bath design firm has won more national design awards than Peter Salerno Inc. The benefits of these awards (and the notoriety attached to them) have assisted Peter and his team in becoming a truly global brand, with their designs in homes and businesses in multiple countries across 3 continents. The past several years have seen Peter Salerno Inc.’s reach continue to spread across America, while new installations reached Canada and Russia. Peter Salerno in his award-nominated Peter Salerno Inc. showroom. Peter Salerno has been a member of the NKBA since 1990 – seven years before Peter Salerno Inc. became an incorporated brand in 1997. In the 28 years Peter has been an NKBA member, the experiences gained, knowledge developed, and platforms presented through the NKBA have been invaluable to the development of Peter’s skills as a master custom kitchen and bath designer, as well as to the success of Peter Salerno Inc. as a world-class design brand. Recently, Peter Salerno was interviewed by the NKBA for their series “The Member Advantage”, discussing how membership in the NKBA is an asset to any kitchen and bath designer or design team. The conversation dealt with the benefits of NKBA membership, NKBA chapter meetings, being a part of KBIS (the NKBA’s annual Kitchen & Bath Industry Showcase and conference) and more. 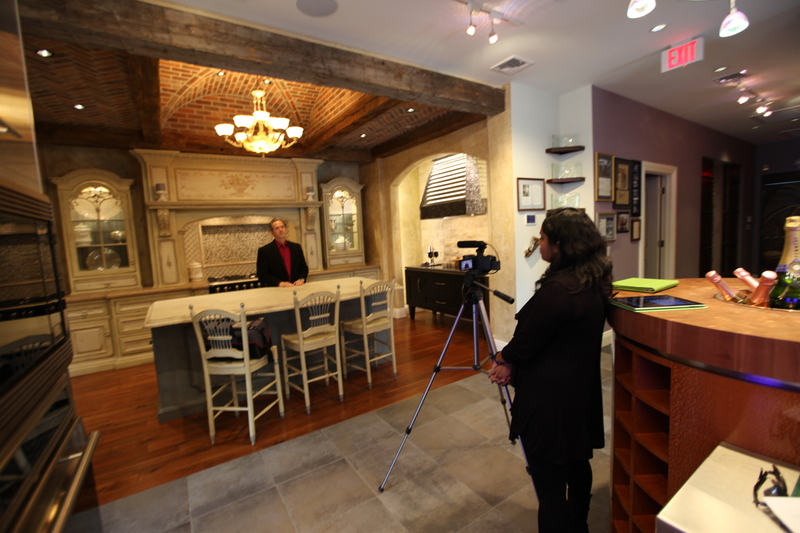 The NKBA’s Ash Sukumar films Peter Salerno in his showroom for a KBIS presentation. Here are a few of our favorite excerpts from this exclusive Q&A, which you can find on the NKBA’s website. NKBA: What do you consider to be the best benefits of your membership? Peter Salerno: The best benefits have been the exposure to cutting-edge products in our industry. This availability of information can better my skills as a high-end designer. NKBA: How do you share your knowledge? Have you ever been a VFTI speaker or considered becoming one? PS: I would enjoy being a speaker. I just did a presentation at the Mid-Atlantic Chapter Meeting in Princeton. It was standing-room-only. I received such a wonderful response, it got me thinking: why not share my 36 years of experience with the next generation of designers? NKBA: What are some positive experiences at KBIS that stand out for you? PS: The positive experience at KBIS comes from leaving the show with at least one great idea. That idea can be implemented the day I return to work. It may come from a seminar I attended or a product that impressed me. One year, after speaking to Gary Vaynerchuk, a keynote speaker, I came back from KBIS and started my blog. It was a great addition to my social media marketing strategy. For the complete interview with Peter Salerno about the member advantages of the National Kitchen & Bath Association, click here. April 2018 April 2018 Peter Salerno, Inc.
Peter Salerno scored with a well-received presentation about custom design inspiration and innovation at a recent NKBA presentation held at Miele USA’s Princeton, New Jersey Experience Center. Peter Salerno, CMKBD, is the owner and founder of Peter Salerno Inc., the most award-winning North American kitchen and bath design company of the 21st century. 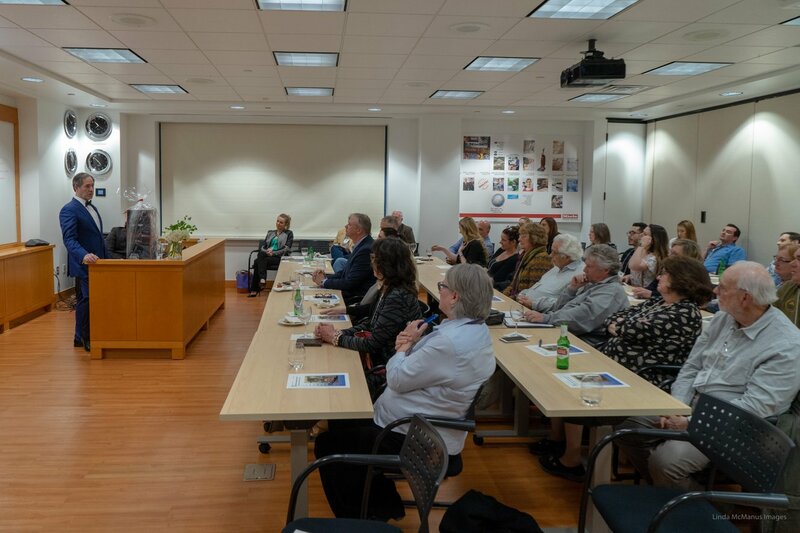 As the keynote speaker and presenter of an NKBA Mid-Atlantic function in April 2018 at Miele USA’s Princeton Experience Center, Peter’s “Where Does Inspiration Come From?” was well-attended and well-received! Plenty of familiar faces were on hand for this NKBA/Miele USA co-branded event, including Peter Salerno Inc.’s longtime friend and colleague Mary A. Moulds, Culinary Events Manager at Miele USA. Peter Salerno noted it was ‘humbling’ to see such a turnout for the event, with many attendees taking the time to speak to him personally both before and after the presentation. Peter’s presentation was accompanied by visual examples of his design inspirations, followed by each inspiration’s final creation. 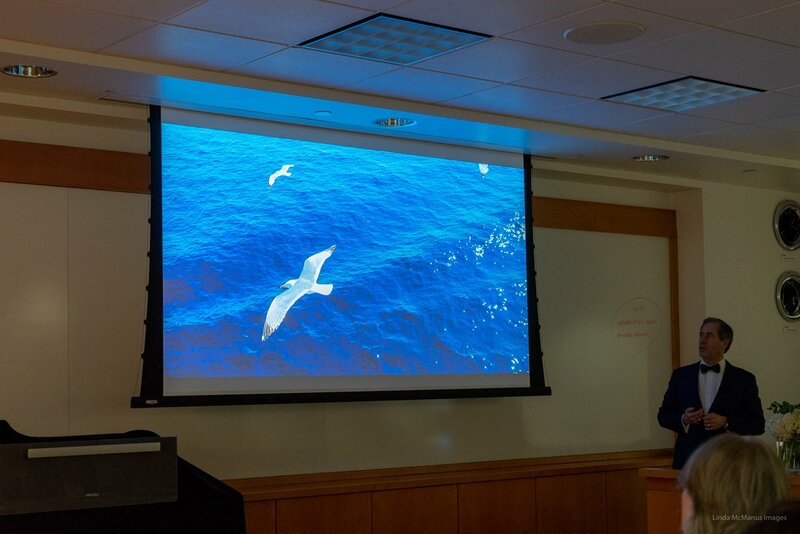 One of the more stunning examples shown during the keynote speech was that of seagulls drifting through the ocean air, and how Peter Salerno turned that image into a stunning kitchen design innovation – embedded LED animation of seagulls over crashing waves, displayed in a kitchen island countertop. …led Peter Salerno Inc. to design this breathtaking LED animation embedded in a kitchen island countertop. 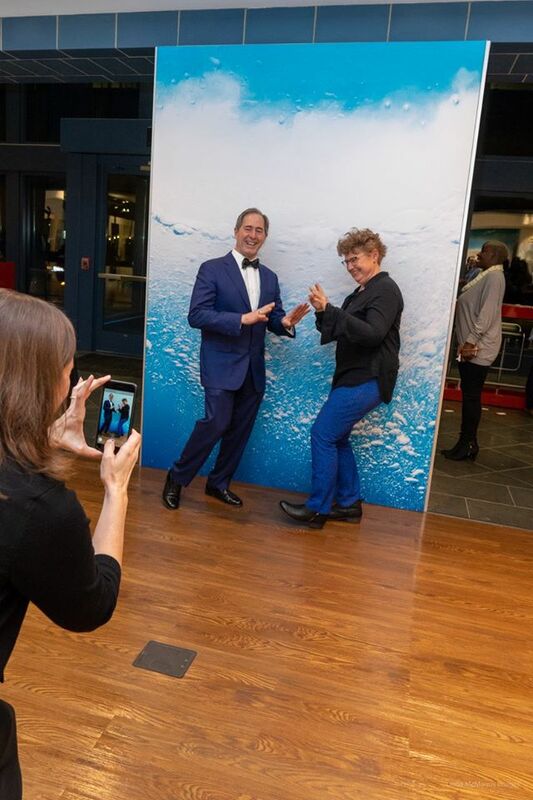 Peter Salerno also noted the warmth of his reception – not just by the attendees of the event, but by the representatives of Miele USA and the NKBA. It’s not always easy speaking publicly, but Peter and his team remarked how at ease they were made to feel at the spacious Miele USA Princeton Experience Center, and what a blast they had in general! By the end of the evening, everyone in attendance was sharing in refreshments, chatting like old friends, taking pictures and having a blast! The event was a beautiful marriage of three stunning brands. When an internationally-acclaimed award-winning designer speaks at a function held by the National Kitchen + Bath Association, held inside a world-class Miele USA Experience Center, you know you’ve created something special. 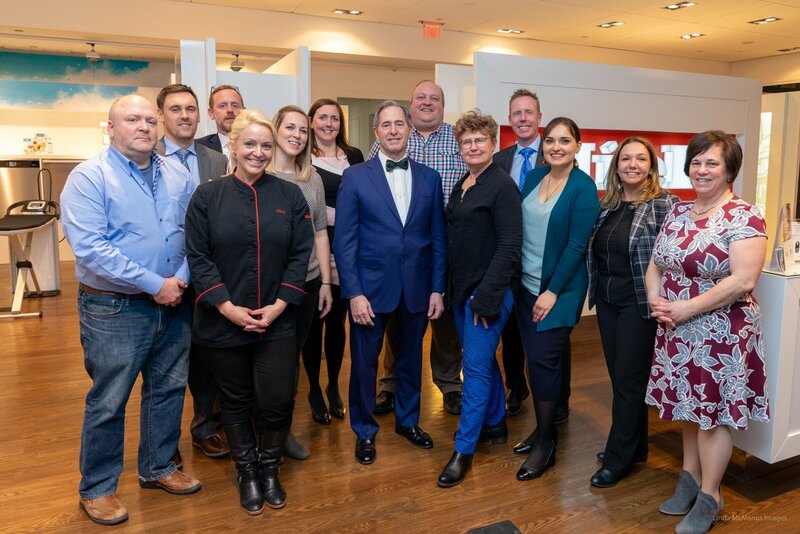 We hope you enjoy these exclusive photos from the Miele USA and NKBA Mid-Atlantic event, “Where Does Inspiration Come From?”, featuring Peter Salerno of Peter Salerno Inc.! On April 10, 2018, the NKBA Mid Atlantic chapter presents a can’t-miss seminar and networking opportunity from the stunning Miele Princeton Experience Center in Princeton, New Jersey. The keynote speaker of the evening will be Peter Salerno, CMKBD, owner and founder of Peter Salerno Inc. Since 2002, Peter Salerno Inc. is the most award-winning North American custom kitchen and bath design company, accumulating 35 national design awards over that time. 24 of those awards are from the National Kitchen & Bath Association (NKBA), of which Peter is a valued member. 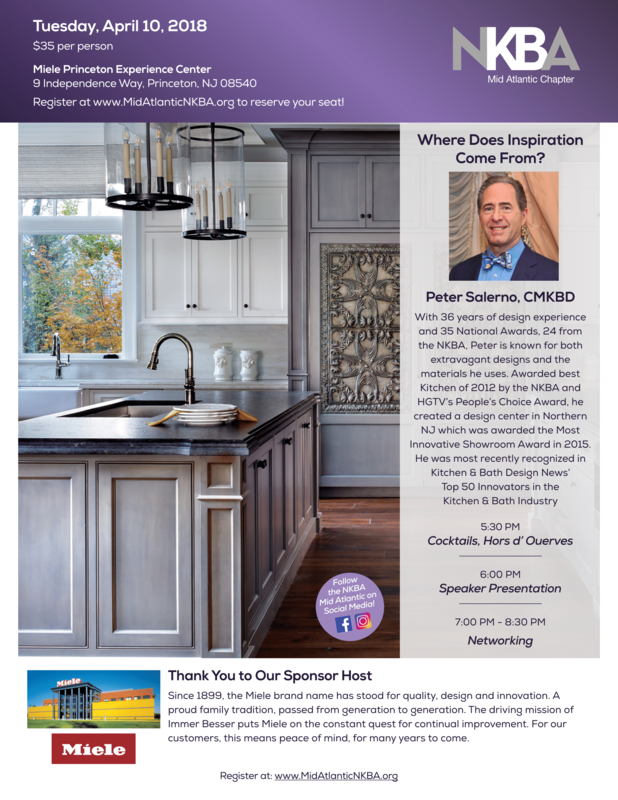 Register for NKBA Mid Atlantic’s April 10th Miele event in Princeton, NJ, featuring Peter Salerno! 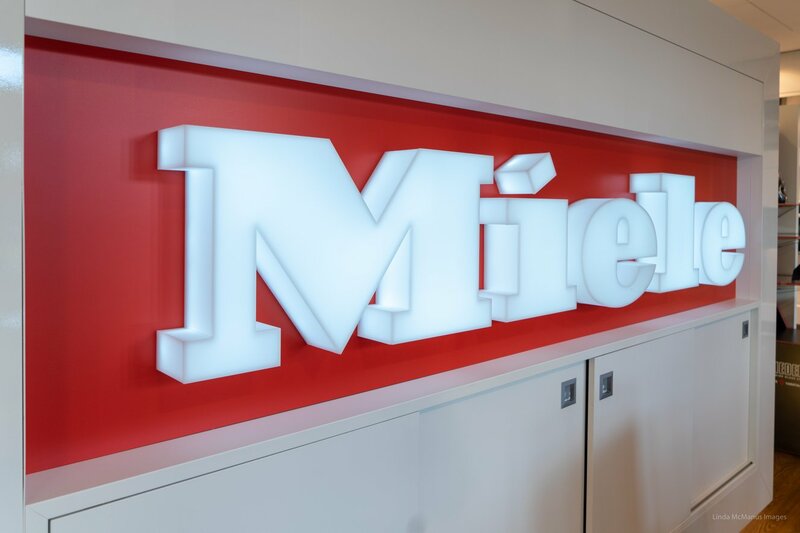 Peter Salerno Inc. is also a distributor and business partner of Miele USA, going so far as to showcase several Miele appliances in its jaw-dropping, award-winning showroom in Wyckoff, New Jersey. With those factors in mind, it’s a natural choice for Peter Salerno to speak at the April 10th NKBA event at the Miele Princeton Experience Center. Peter Salerno, CMKBD of Peter Salerno, Inc. presents Where Does Inspiration Come From? Join us for this unique event at the Miele Experience Center in Princeton, NJ for our NKBA Mid Atlantic Chapter April Event. The “Where Does Inspiration Come From?” NKBA and Miele event begins at 5:30 p.m. with cocktails and hors d’ouevres. Peter Salerno’s presentation commences at 6:00 p.m., and valuable networking time and opportunities follow. To register online for this exclusive, valuable event, please follow this link. The Miele Princeton Experience Center is located at 9 Independence Way, Princeton, NJ 08540. For more information on the Experience Center, you can visit its website or call (800) 843-7231 Ext: 1002. It’s good to have ties to influential kitchen and bath designers. Sometimes, they get to attend really neat things and bring us back pictures and videos to gawk at! CLICK HERE to view all of Peter’s photos & videos from the 2018 Architectural Digest Design Show! That was recently the case, as Peter Salerno (of our parent company Peter Salerno Inc.) recently attended the 2018 Architectural Digest Design Show. The Design Show took place from March 22-25, 2018, at Piers 92 & 94 in New York, NY. Produced by the Mart, the 2018 Architectural Digest Design Show had one thing in spades – the “WOW” Factor! The 2018 Architectural Digest Design Show – see more on Peter Salerno’s Instagram! Peter Salerno’s photos and video from his personal journey through the show were so great, he was encouraged by the entire team at Peter Salerno Inc. to share them with the world on Instagram – and he was happy to oblige! From kitchen design masterpieces to glitzy kitsch, sleek lighting displays to jaw-dropping glass and tile creations, Peter Salerno’s Instagram posts (photo and video) from inside the Design Show are must-see for serious designers, fans of design, and those of you who simply love beautiful creations. We’ve placed a few “teasers” directly from the Peter Salerno Inc. Instagram account here for you to get a sneak peek! Peter Salerno Inc. is the most award-winning North American custom kitchen and bath design company of the 21st century. 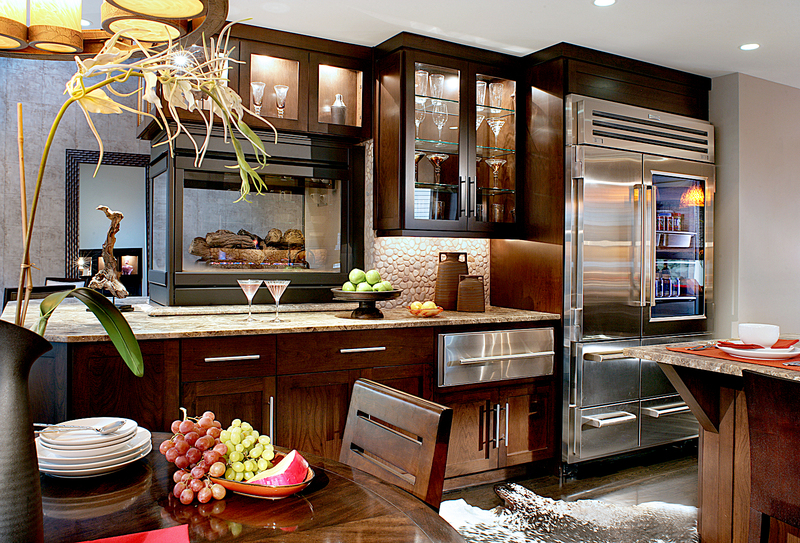 This figure includes 23 national awards from the National Kitchen and Bath Association within the past 10 years. Peter Salerno’s designs have been published in numerous magazines including Design New Jersey, 201 Magazine, New Jersey Home and Style, Luxury Living, The Robb Report, Woman’s Day, New York Spaces, Millionaire Magazine, 201 Magazine, K+BB, Profiles, Aspire and Kitchen & Bath Design News as well as other numerous trade publications. Not one to remain stagnant, Peter built a design center with the intention of creating a stress free experience for his clients. Peter Salerno, Inc. tripled its showroom size and raised the bar for its competition with its innovative and cutting edge vignettes. A well respected & known appliance store and an avant-garde tile boutique round out the design center, creating a one stop shopping destination for his clients. The opening of the new project happily coincided with Peter Salerno, Inc.’s 15 year anniversary in Wyckoff. Peter’s philosophy is if you can imagine it, we can build it. Art, married with functionality, has no limit.